Cambodia is undergoing a massive population shift. Day by day, Kingdom residents become both more connected by technology and more urbanised. Job opportunities are drawing an increasing number of people to the capital and industries are rushing to keep up. Numerous international reports from bodies such as the World Bank, Asian Development Bank, Asia Monitor Resource Centre and the International Monetary Fund have highlighted the need for infrastructure development to keep pace with the expanding economy. The Kingdom’s roads are often the subject conversation concerning infrastructure. Late last year, over half of the country’s roads were deemed to be in poor condition by the Ministry of Public Works and Transportation (MPWT). Furthermore, 70 percent of roads were funded by money from China. According to many experts, infrastructure in the country needs a facelift. 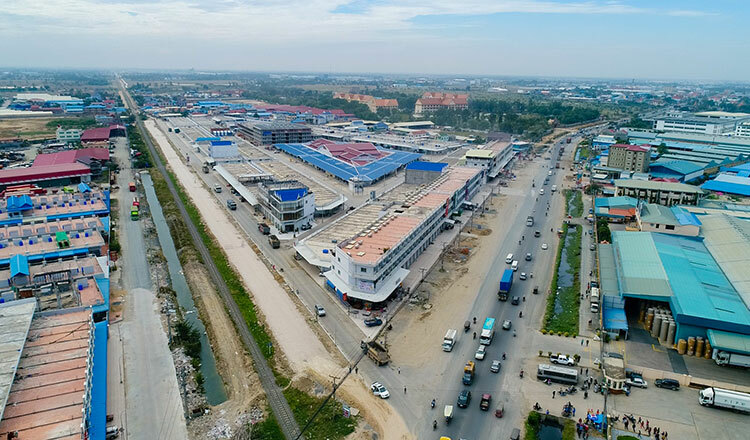 Oknha Ly Hour, chairman of Housing Development Association of Cambodia, said Infrastructure investment is a critical factor in the continued success of Cambodia’s real estate sector. He explained that more money for building roads, railroads, bridges, and other infrastructure means better growth prospects for Cambodia’s urban areas where real estate development is concentrated. Soth Virak, CEO of Huttons CPL, said that to keep the long term real estate growth, first, Cambodia needs to improve its infrastructure across the country. “Currently, major cities, such as Phnom Penh, Kampot and Sihanoukville have seen construction of new roads, railway, bridge, and waterways,” Mr Virak said. According to local media, MPWT has announced plans for another ring road around the capital, as well as major overhauls to national roads 2, 3 and 4, and a 190 km highway linking Phnom Penh to Sihanoukville. Vasim Sorya, director general at MPWT, said some of these projects are being studied while some are ready for work to begin. “The government will need a huge amount of money to build such major projects,” Mr Sorya confirmed, adding that building an infrastructural system is necessary for the Kingdom’s economic development. Sun Chanthol, minister at MPWT, earlier this year urged all departments to improve road repair procedures in order to raise the standards for the Kingdom’s thoroughfares. One major obstacle in the drive toward improving and advancing infrastructure seems to be the dissemination of a centralised plan. Vann Vat, a local urban planning expert, said that developers had been given a master plan for Phnom Penh as a whole, but have not been given specific commune-level plans by which to lay out new buildings. “The Ministry of Land Management’s policy is good, but we are seeing problems arise with implementation,” Mr Vat said, adding that flooding, sewage, traffic and pollution problems were causing frustration as well as economic losses because of infrastructure shortcomings. He further speculated that there needed to be a strong commitment behind a master plan, as well as proper funding and investment in human resources. Indeed the resounding feeling is that any slowdown in infrastructure development could be a major barrier for the Kingdom. Teng Rithy, founder and director of Property Investment Realty Partner, told Realestate.com.kh earlier this year that infrastructure is imperative to the expansion of the capital. “To support the economy and welcome more international investors to Cambodia, we need to have quality infrastructure in the form of transportation, power and communications as well as solid support systems in place,” he said.